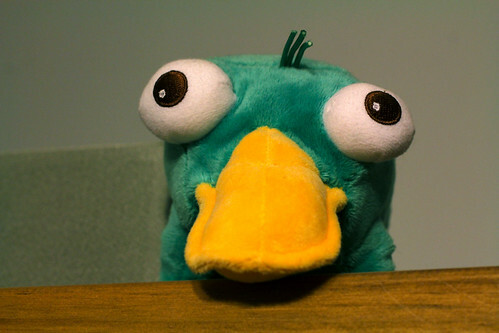 A close-up with the Perry the Platypus that watches over our bedroom from atop the TV armoire. He's often the last thing I see before I sleep and the one of the first things I see when I wake. Which (I tell myself, over and over, until I almost believe it) isn't creepy at all.